A LIMITED NUMBER of prints signed by Joe Royle! 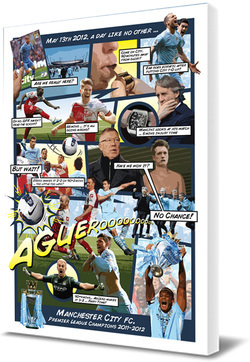 '93:20’ is a piece of Man City history captured forever in this painting and telling the story of that unforgettable day! Truly a moment in time! "If the Premier League lasts for a thousand more years there will never be a day like Sunday 13 May 2012." Painted by a City fan to commemorate Manchester City winning their first league title for 44 years this unique piece of Manchester City art captures all the thrills of one of the most amazing days in football history. A must for any Blue! Printed A2(420mmx594mm) in size onto 300g fine art paper and personally signed by the artist. 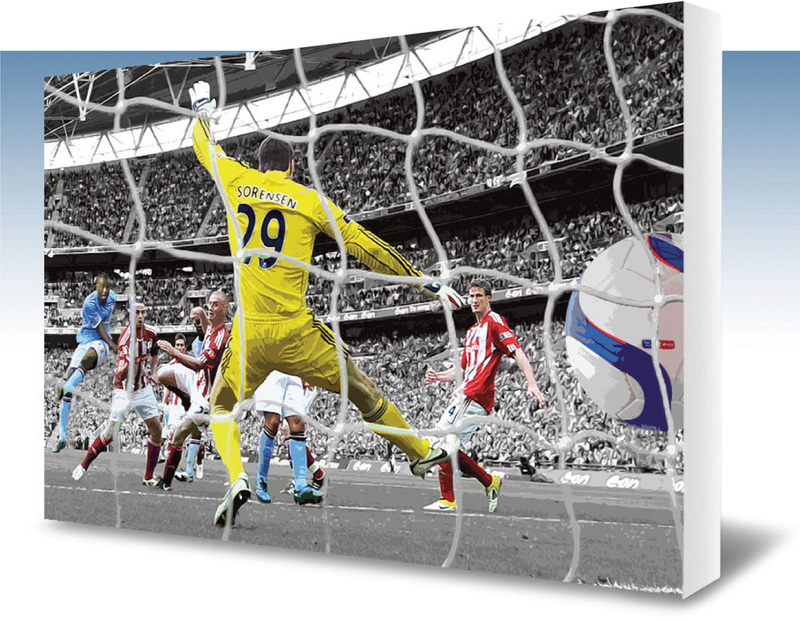 'Then it was Five', 'That Goal' & 'Feed The Goat' Open Edition prints now available at a Great Value Special Price of £19.99 inc. P&P. Commissioned to celebrate the anniversaries of two of the most famous days in Manchester City's recent history, plus the last ever Derby at Maine Road, these fabulous Watercolour prints are a must for City Fans everywhere. 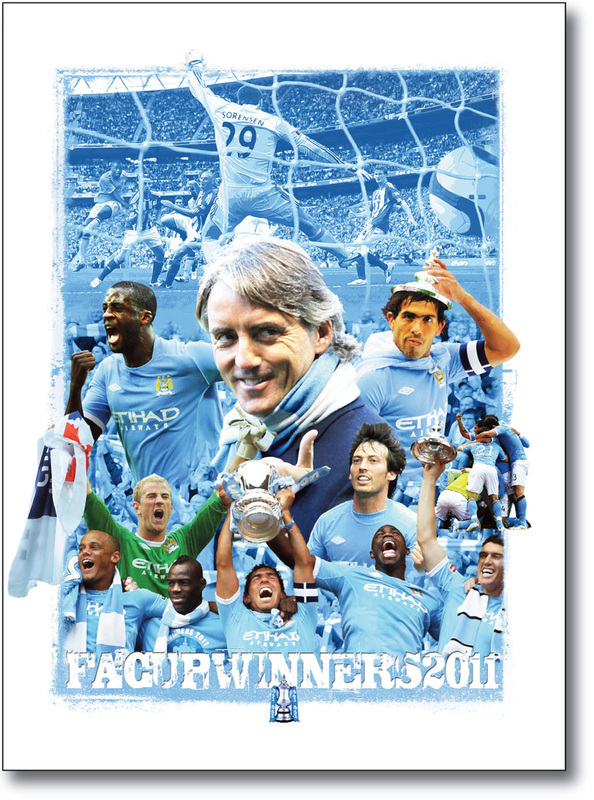 The ideal Man City birthday present or Christmas gift, each print can be purchased framed or unframed and comes with FREE delivery included. Before the 6-1 ... there was 5-1! ​A unique piece of art to celebrate the 20th anniversary of Man City's famous 5-1 victory over Manchester United in 1989. Where would we be without Paul Dickov's famous extra-time equalizer in the Play-Off Finals at Wembley in 1999. The original 'That Goal'. "Feed the Goat and he will score"
​Re-live our hero pick-pocketing Gary Neville before cooly finishing past Barthez in the last ever Manchester Derby at Maine Road.